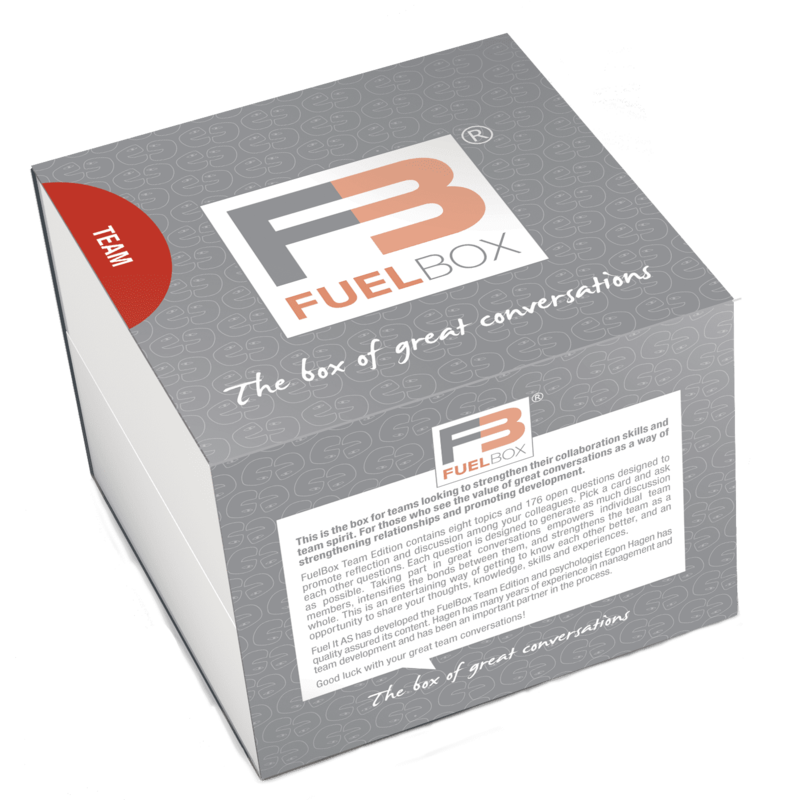 FuelBox TEAM is a leadership tool to strengthen team relations and performance. 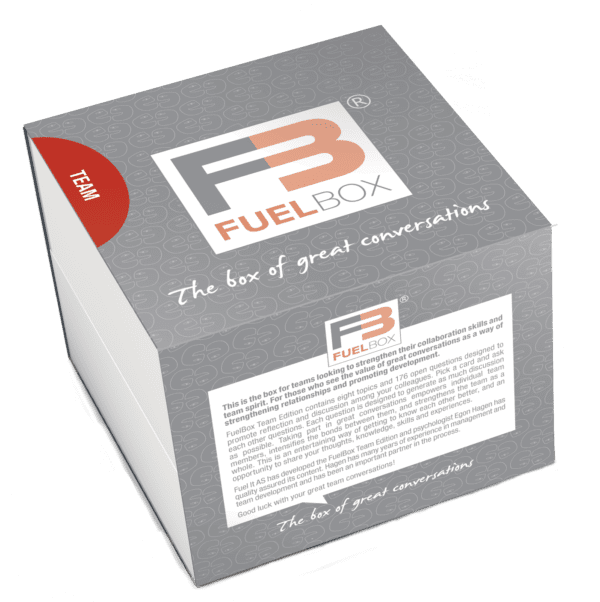 This box provide an opportunity to engage the whole team in reflection and sharing on both a personal and professional level. In what ways are you different at work from at home? In what ways do you give praise and recognition to your colleagues? What changes happening outside the organisation will mean that we have to innovate? What personal vision do you have for yourself? As a team, to what extent do we succeed in making joint decisions? What has to happen for us to achieve our long-term goals? As a team, how do we contribute towards enhancing the reputation of the organisation? What motivates you most to do a good job? What can you tell us about yourself that we know nothing about? Who has had a particularly positive influence on your life, and in what way?